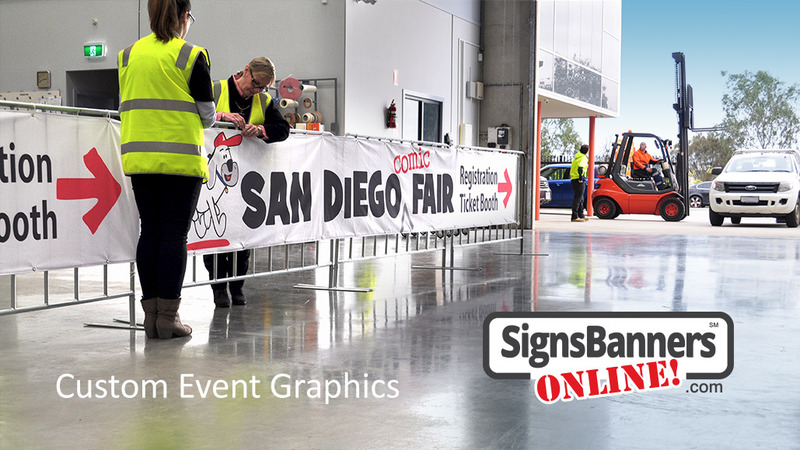 Event Signage - It's here! 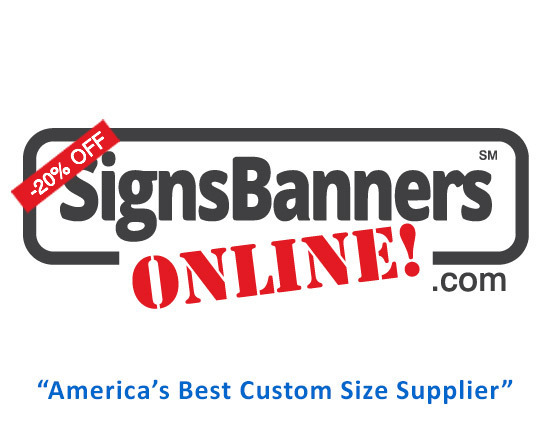 The best source for event signs and banners and it's all factory direct, Save heaps! 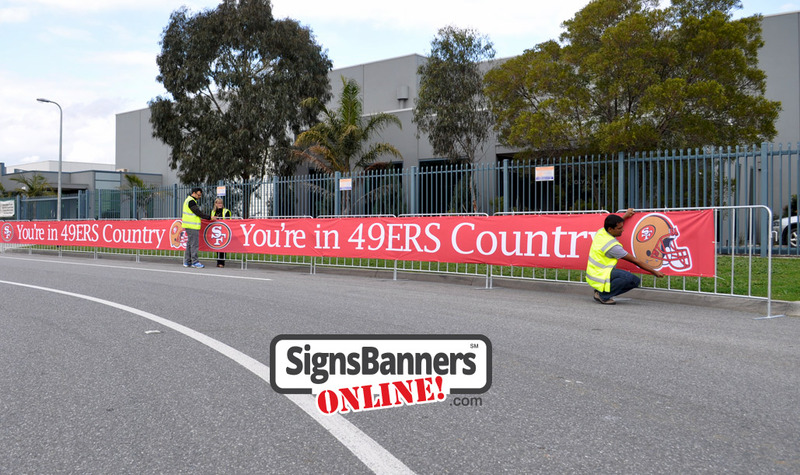 DuraSports Mesh is popular for branding your American event's cheap crowd barrier fence, pedestrian control devices, television scaffolding towers, speaker surrounds and start finish line crowd management for sponsors. 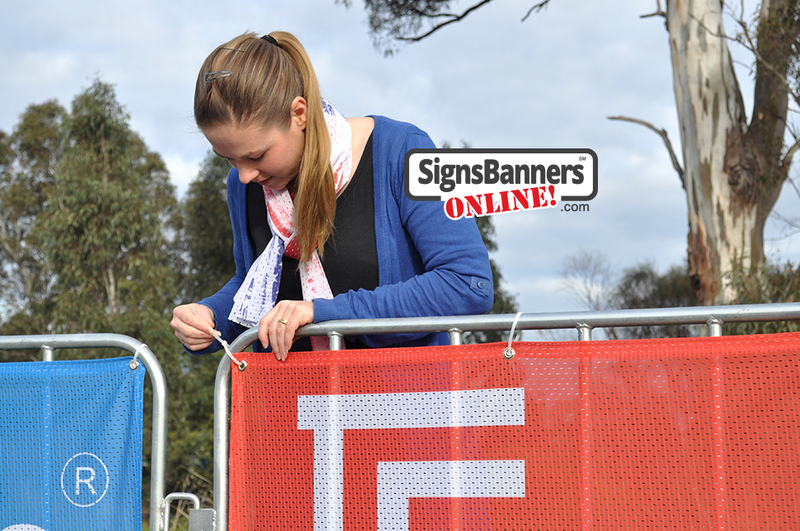 It is weather-able and includes options such as triple edged reinforced hems for securing over the sporting carnival or one day festival events single edge only. 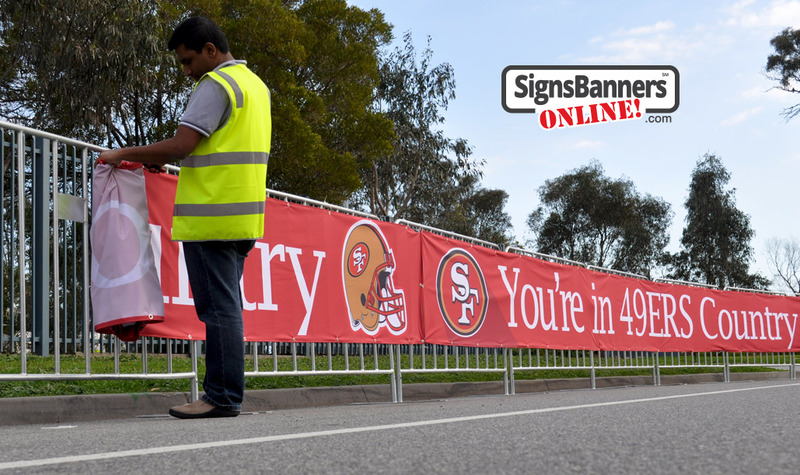 Very popular for event managers and sponsors. Cheap-Easy to install. 10 ft or 10,000 ft... its easy! 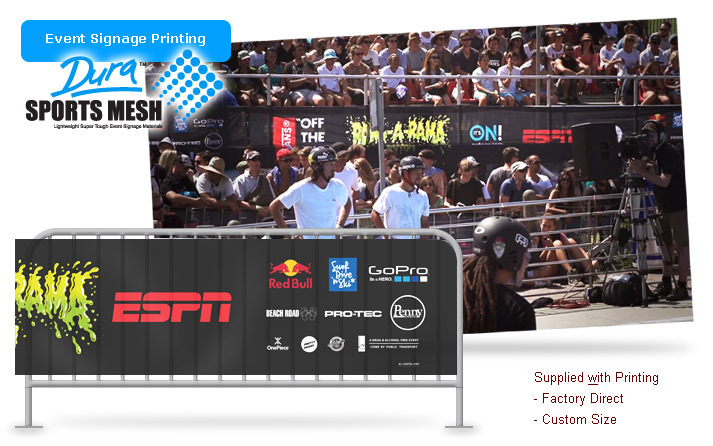 "The DBSM (DuraSports Mesh) aero material is a designed to offer event promoters the cheapest method of displaying their event sponsors to all viewing public and televised media. It is a non glare material, super strong and has budget options such as reinforced webbing edges for better security control & for greater cost savings". 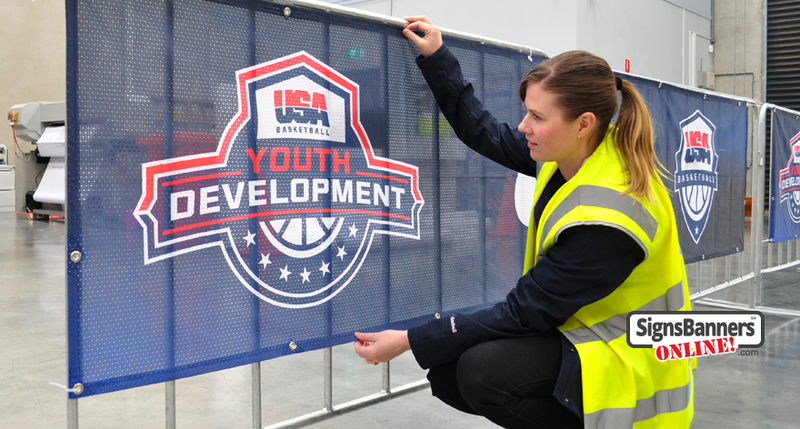 Alternatively, a client can choose triple reinforced edges and added grommets to suit their event signage requirements. 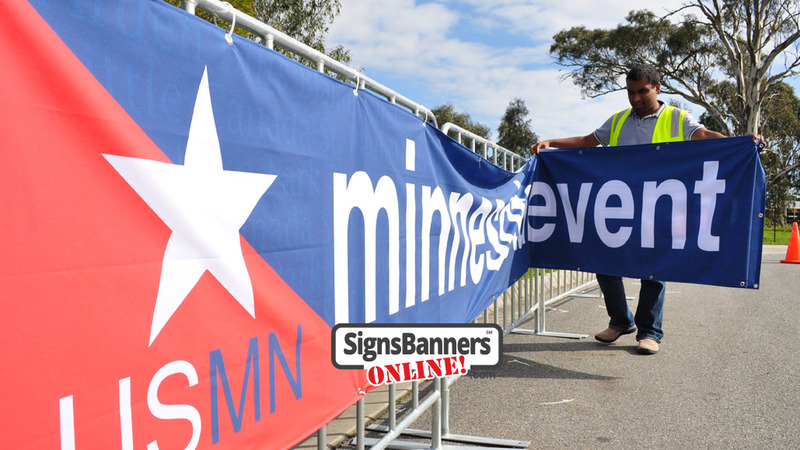 Available in any size, the event sign banner is very effective and is used by event management companies, attending trade show displays, corporate events such as golf, elegant marquee, exhibition and more. 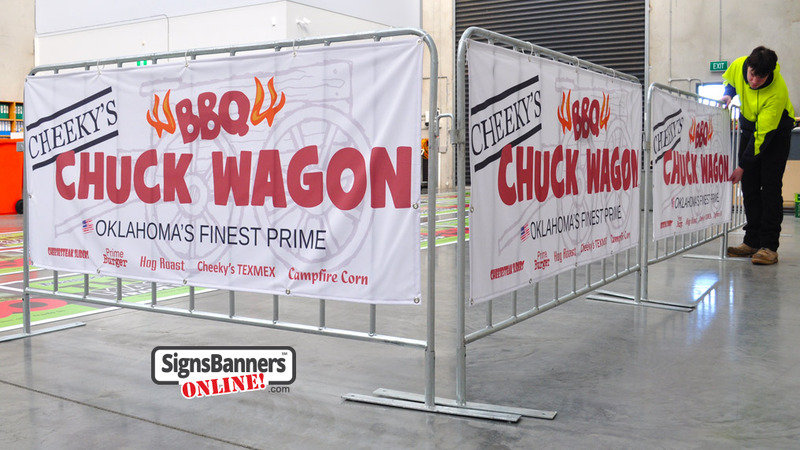 Ideal for bleacher ends, wings, stadiums and indoor seating hanging or wall. #2 Minimum Order: No minimum order is required. 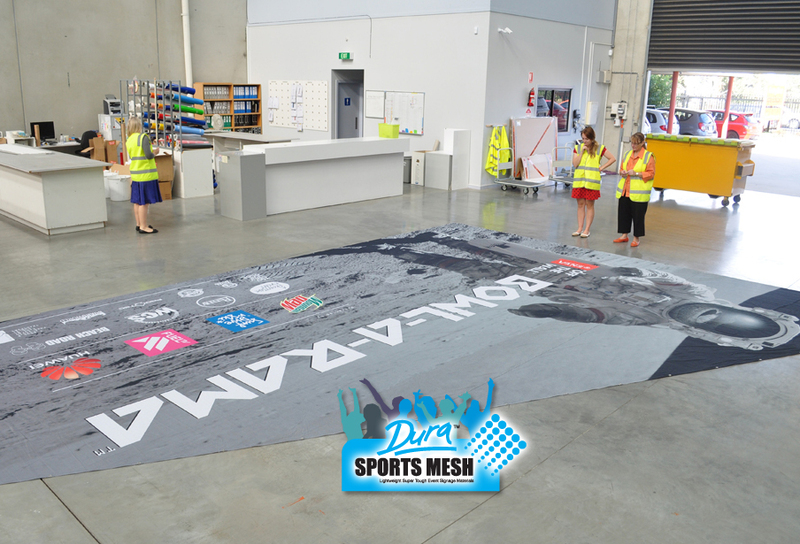 All DuraSports Mesh is available in custom sizes to suit your rental barricade, scaffolding, gantries or site applications. Made to order printing in full color. Comparison DBSM is a tensile Polyester material with 78% blockout vs vinyl. Low cost and controlled options to suit festival duration. 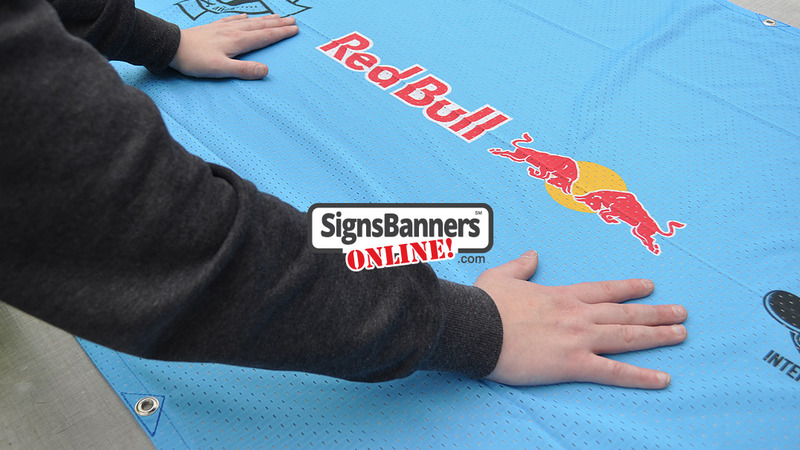 Custom size to suit local barrier dimensions, transports easily and can be washed. Customize to suit your pedestrian control devices and fences. 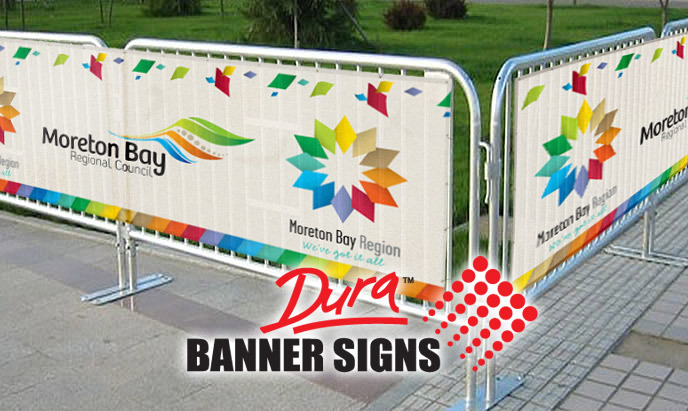 Railing systems & turnstile advertising with and without barriers. Easy to install with grommets and or reinforced edges for anti vandal applications. 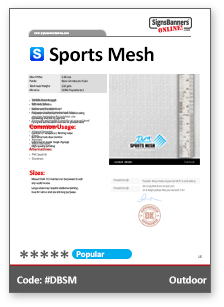 Note: Sports Mesh is commonly purchased to suit crowd container panel sizes through to full length site applications such as 2 feet, 3 feet, 8 feet, 250 yards or 3 miles etc. Order to suit your client and budget set. 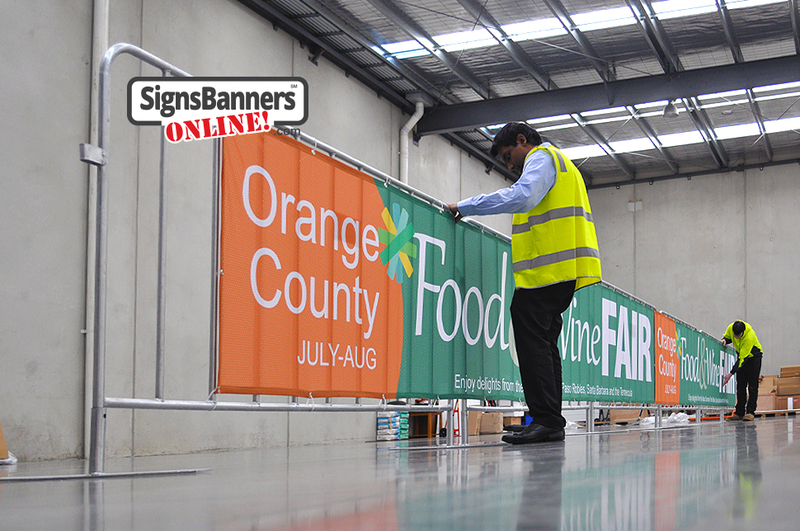 A top business feature is that vendors or sponsors can use 1 or 500 sets to be equally effect to the viewer. As a modern management system the sponsor sign at a community event is a winner. 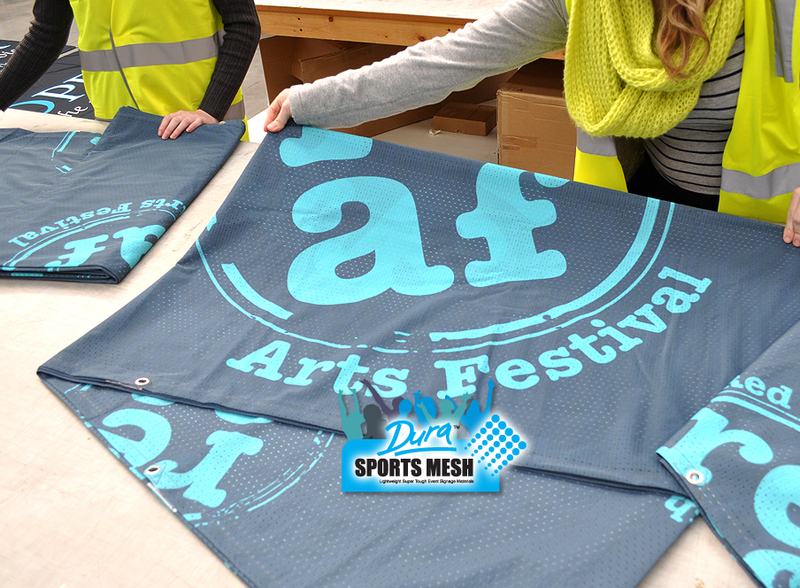 Sports Mesh is perfect for crowd control barrier advertising, stadium and stage at events and festivals. The biggest advantage of the 3'ft barrier is you can see over the top, it keeps the excitement close. 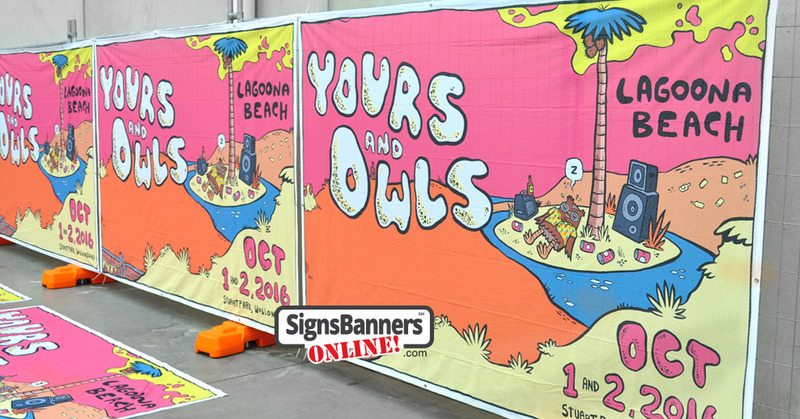 Sports mesh is also used by surf carnival operaters because of its suitabilty for winds and can be tied to stakes and fence wraps. 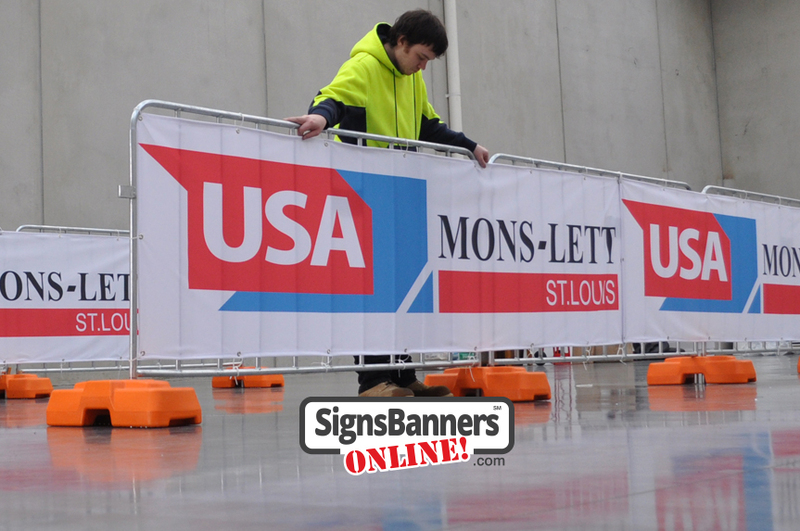 Organizers use long span runs and events where budget is required can also be hot knife trim only. 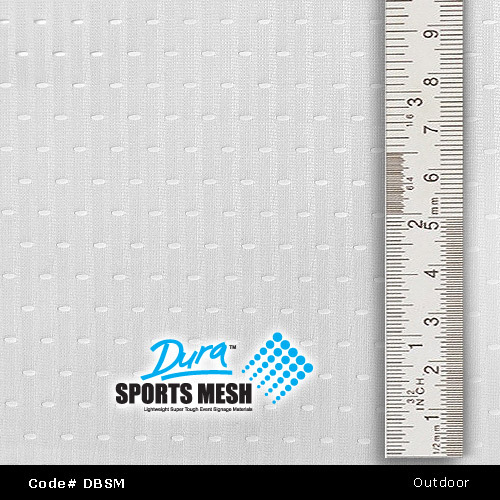 Sports mesh is non fray and strong tensile weave. 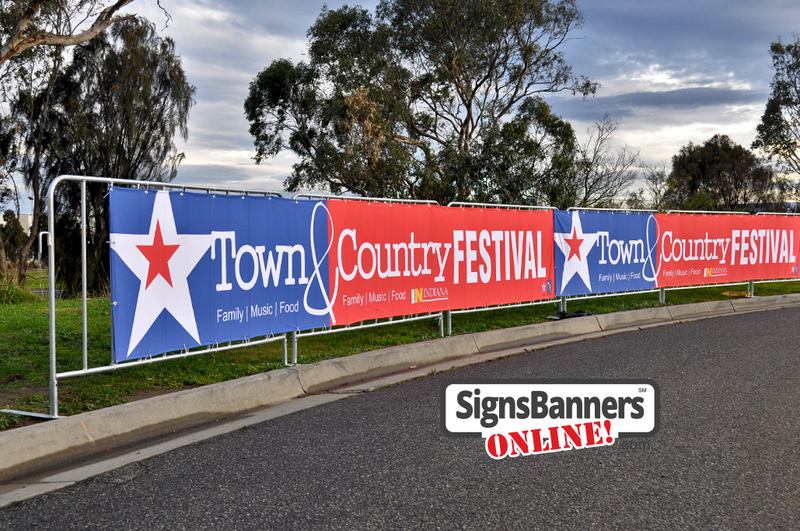 Printed sign designs and media graphics as the visual media look very impressive for sporting bleachers, carnival, festival, public awareness and sponsors. 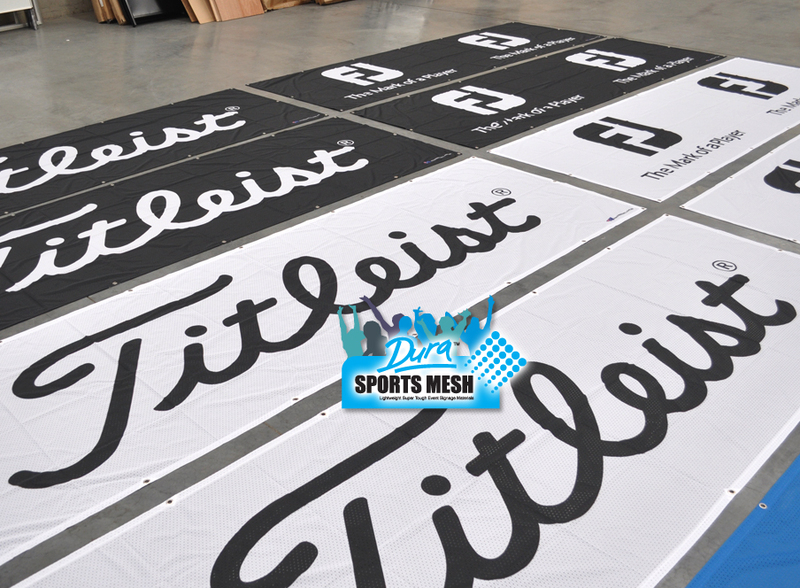 DuraSports Mesh banners can be manufactured with pole sleeves, hook n loop (velcro), eyelet grommets and specialized features custom to your needs. 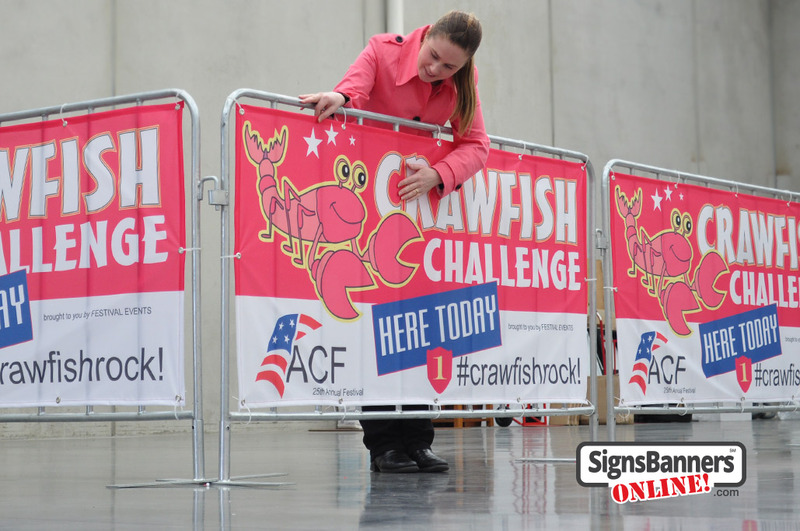 Use for Event Signage - Bleacher Ends, Trackside Perimeter Fencing - Start Line - Public Spaces Stadium and Scaffolding, Media + Broadcasting towers and temporary structures such as gantries, speaker boxes, side wings and more opportunities that sponsors require their logo to be prominent. 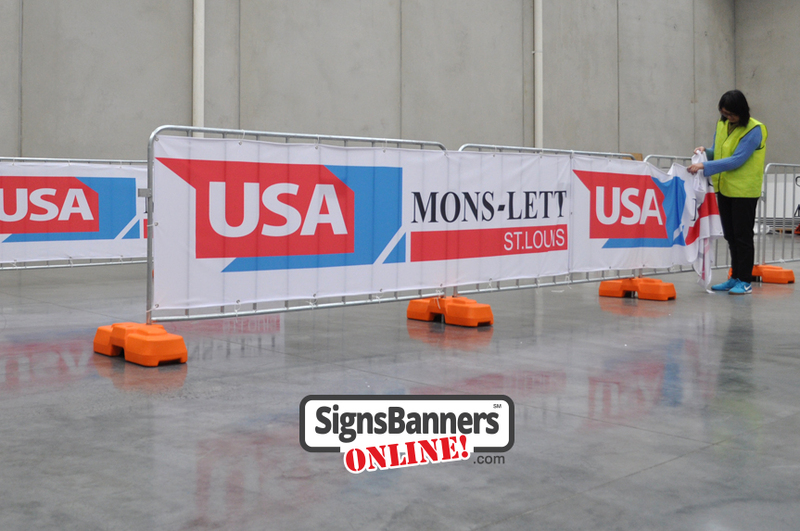 Manufacturers of outfield fencing, special event fencing, barricades, stanchions, and other crowd control products with signage requirements. 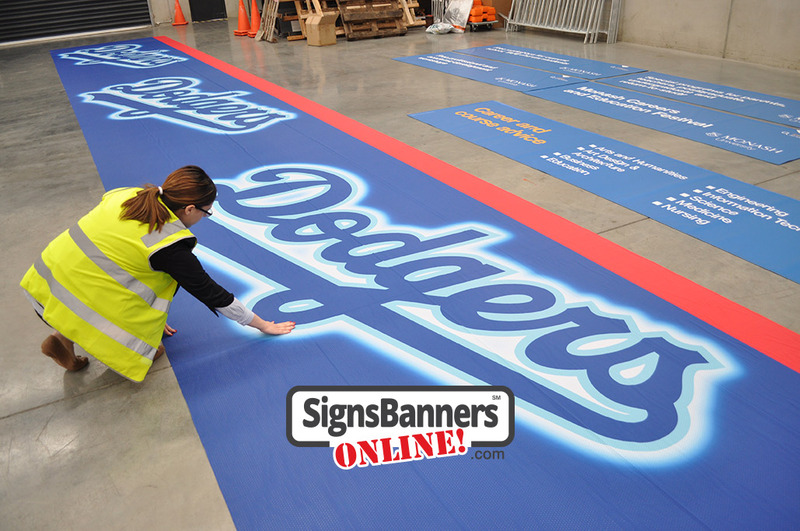 We print any size, any design, ALL colors! Multi purpose, versatile and portable. Super strong colors, excellent definition and usability.